When ER24 paramedics arrived at the scene, other medical services were already in attendance. 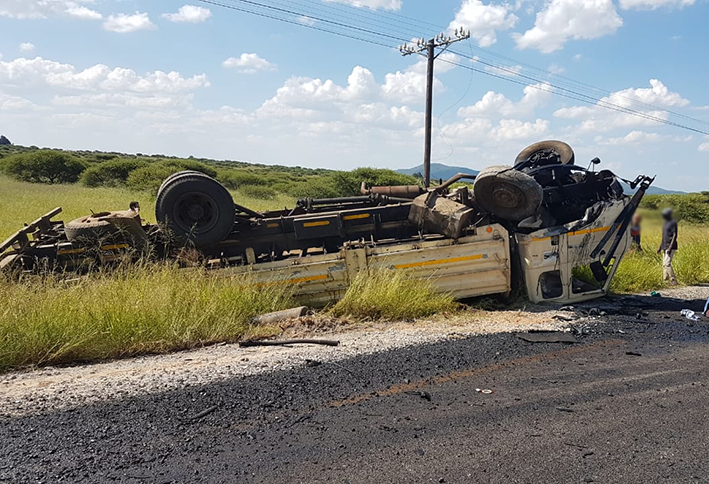 Upon further assessment, paramedics found the driver of the bakkie still entrapped. Unfortunately, the man sustained fatal injuries and was declared dead at the scene. A truck was found lying on its roof. The driver of the truck was found to have sustained minor injuries but refused transportation to hospital.